The i7 3970x is now becoming a somewhat dated CPU, and yet is still going for $800 on ebay.com (at the time of this review). I thought to myself “is this CPU really worth the money?” and so I began testing it to see if, in fact, the Intel Core i7 3970x is still worth the extreme premium price tag it carries, or if you should just buy a newer, less expensive processor instead for half the price?. 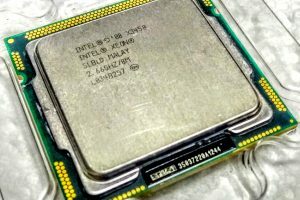 Over the course of this article, I am going to pit the 3970x against the 5820K as well as a few other choice processors available on the market today. No processor benchmark comparison would be without a solid set of tests, I will be using a variety of tests from Passmark Performance Test software. The i7 3970x does very well in the compression test, both at stock (orange) and at overclocked settings (green). As you can see, the i7 3970x is still one heck of a processing beast, outperforming all but the i7 5820k in most tests. Beats the 5820K by over 9.6% in prime number calculation tests. The Intel Core i7 Extreme Edition i7 3970x is still a monster of a CPU, but considering that the i7 5820k has nearly the same specifications, and is as fast as the 3970x, for only $400 means that the i7 3970x is NOT a good purchase for $800. 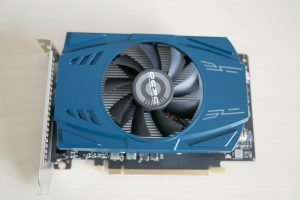 OCPC Gaming GTX 1050ti..can the new kid on the block keep up?